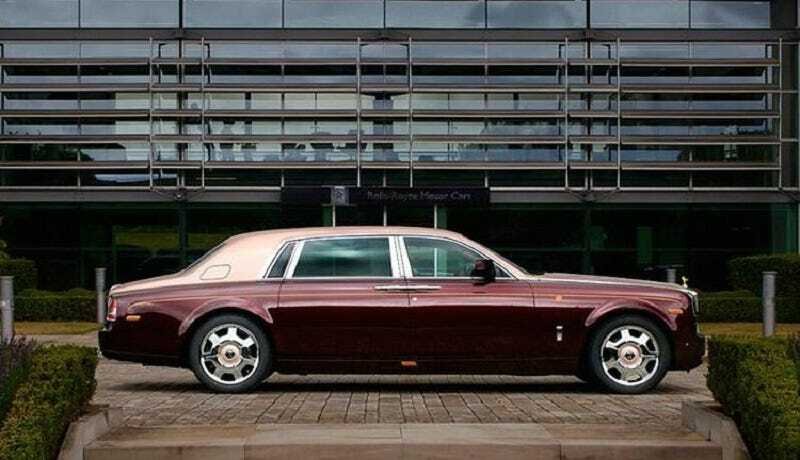 This bespoke Rolls-Royce Phantom was specially designed for the Vietnamese market is seriously called the Phantom Sacred Fire, because when you throw special paint on a special car for a special market, it deserves a special name. The Phantom features a unique two-tone paint scheme called Madeira Red Sunrise, which is supposed to represent fire — the national symbol of Vietnam. This Phantom is the first Rolls-Royce delivered to South East Asia to celebrate Vietnam’s cultural heritage, hence the special treatment. Let me know if you can come up with a better pretentious-sounding string of three words, because I’ve got nothing.